In addition to consulting, firms often hire David Lecours to provide AEC Training on story, infographics, creativity, and slide presentations. While highly entertaining, David’s training sessions primarily inform and educate. Growing up with an award-winning first-grade teacher as a mother, David makes the complex easy to understand, and fun. David trains and speaks at conferences and private A/E/C firm engagements. Training sessions range from 90 minutes to 3 hours with topics listed below. 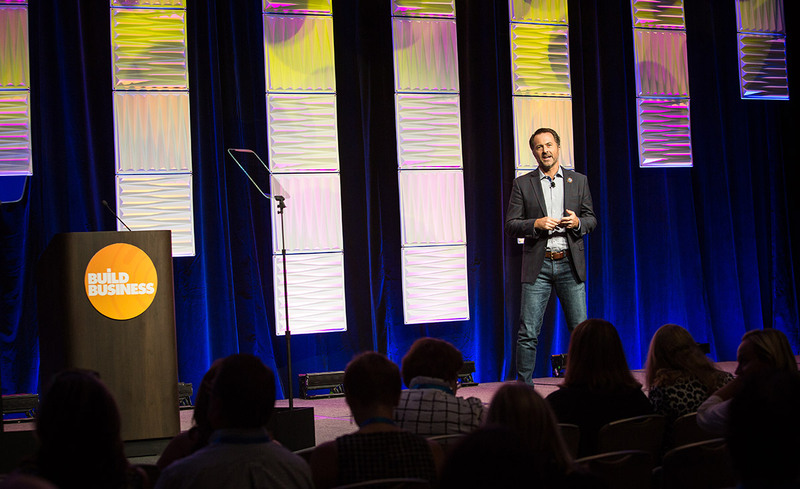 Speaking is typically a 50-minute keynote address. Fees range from $3000–$5000 + travel expenses. 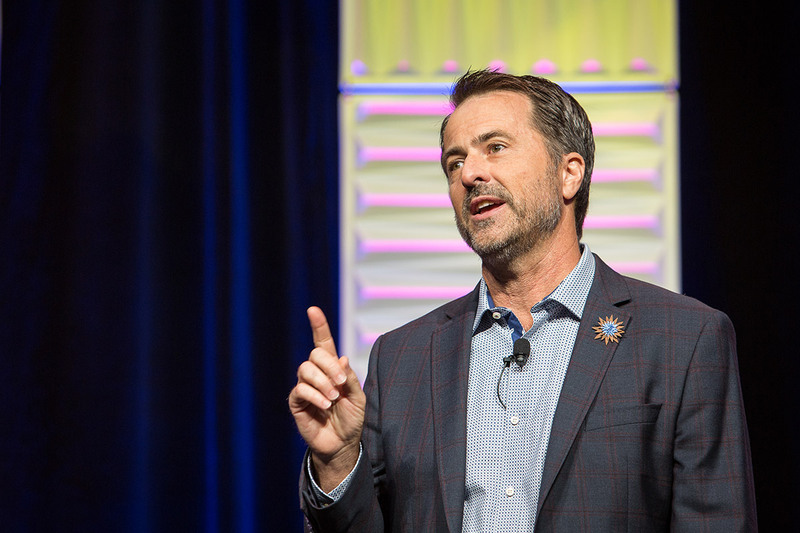 Thriving A/E/C Marketers embrace the power of narrative to win new business and attract great talent. You need to clearly and succinctly tell your firm’s story when talking with prospective teaming partners, clients and employee recruits. Story creates an emotional connection with potential clients that will separate your firm from the herd. Harnessing the power of story in your projects, interviews, biographies and websites is essential to winning new work. You’ve got a presentation interview coming up that could change the history of your firm. You want to persuade, inform and entertain your audience with a presentation that changes the world. Or, maybe just your world. Note that this is NOT a training session about Powerpoint software. It is a seminar about timeless principles of effective visual storytelling to help you and your firm win new business. Creative ideas are essential to distinguish your firm from your competitors. 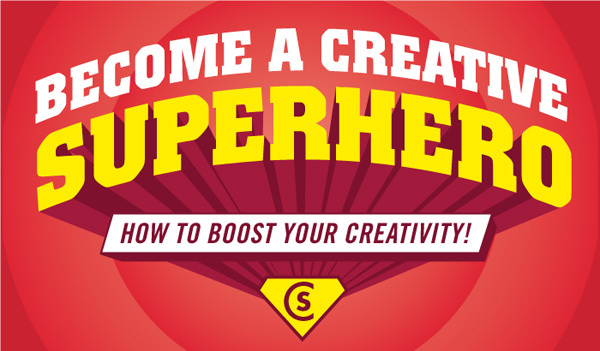 But creative ideas don’t just magically appear like superheroes. Even if you consider yourself creative, you can learn to boost your creative output. 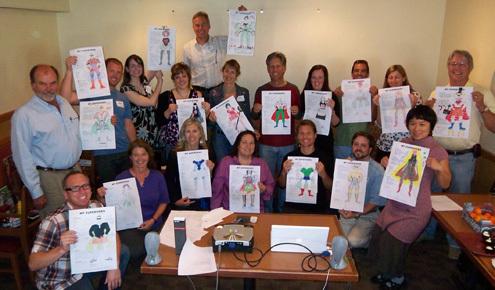 Drawing upon lessons learned from archetypal superheroes, you will refine your own creative process to generate breakthrough ideas and “leap tall buildings in a single bound.” You will put theory into action by designing a superhero supersuit (no drawing skills necessary). 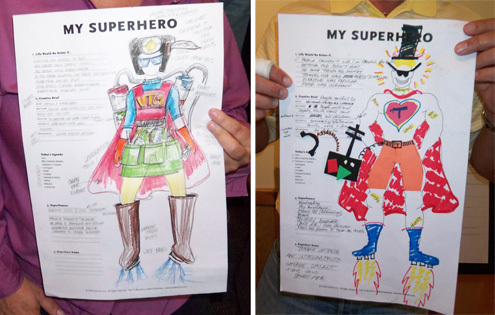 Photos from recent How To Become a Creative Superhero training session.